Red Light Confidential is a safe space for artists and audiences alike where newbies rub shoulders with seasoned pros. 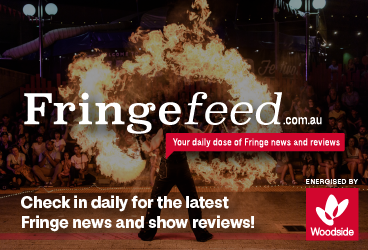 Since its humble beginnings in Sydney 6 years ago, Red Light Confidential has since toured to packed houses at Perth FRINGE WORLD, Adelaide Fringe, Sydney Burlesque Gala and Darwin Fringe Festival as well as starting a monthly chapter in Melbourne. This underground industry night has now become one of the most popular and well known touring variety shows in the country, with only the best in local and international Burlesque, Circus, Cabaret, Music, Comedy and Magic on and off stage... Expect the unexpected because no one ever knows what to expect at Red Light Confidential. The producers Kelly Ann Doll and Michael Wheatley are highly regarded in the cabaret, fringe and burlesque scenes both locally and internationally as well with a pile of sell-out shows, awards and nominations between the two of them. 2019 will be their 7th year running Red Light Confidential and 3rd year of taking the show on the road.